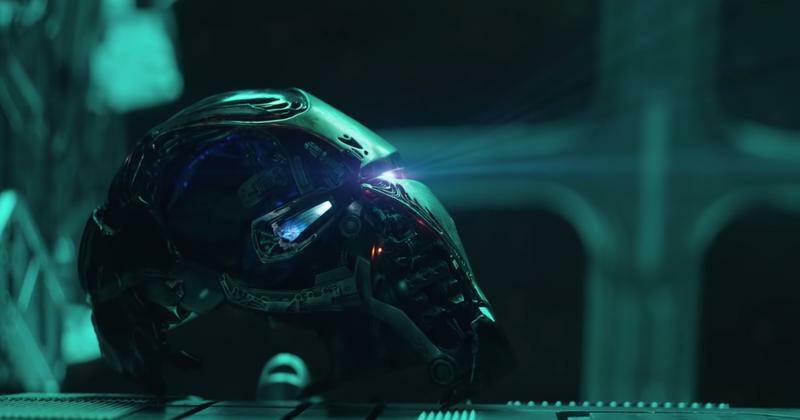 The Avengers: Endgame trailer dropped a couple weeks ago, giving us our first look at how our favorite heroes are coping with the loss of their friends. Turns out they’re not doing great. Though we appreciated the trailer, it didn’t give us much to go on. However, now that the IMAX version of the trailer is hitting theaters this weekend, the expanded footage confirms a popular theory. The IMAX trailer is the same trailer that dropped on YouTube, just with a wider aspect ratio, so it gives us more content. As such, it gives us a better view of some teasing shots that left us asking many questions. One such scene is the person Nebula is laying her hand on. Many theorized it was Tony Stark as they appear to be together on the Benatar, while others theorized it was Black Widow or Captain America who she was consoling. The wider shot confirms that the person she is comforting is Tony Stark as it shows a clear look at his stubble we see earlier in the trailer. Another wide shot gives us a better look at Black Widow’s pulled back hair when she meets Ronin and another shows more of Thanos’ farm. In an unrelated note, aside from the wider aspect ratio, the color tone of the IMAX trailer is changed. The Avengers: Endgame trailer will only be available in theaters this weekend. No word on when it’ll be available to stream online.